"The secret sauce for any meeting: the agenda doesn’t go to outcome first; you design to quiet the mind and allow people to shift to the present moment to get connected." I am jazzed! I just got off Zoom with a new action team of 12. Different locations, different reasons for participating, a common mandate to be revealed. I had 1-1/2 hours to create a container where they could come together and find commonality, in an environment of mutual trust and respect. This team was one of six formed at the end of an in-person 1-1/2 day retreat, which was amazing: we created resonance in the midst of dissonance. Moved from resignation to inspiration. When people are inspired, they will step up, no matter how busy they are. The Convening Tool Kit Worked! The secret sauce for any meeting: the agenda doesn’t go to outcome first; you design to quiet the mind and allow people to shift to the present moment to get connected. More secret sauce: a process that focuses on the heart of the matter and gets the purpose and agreements clear, so that people can pay attention and participate fully. Outcomes were achieved! Everyone breathed a collective sigh of relief. Common goals and committed action came easily and were the natural outcome of a designed essential conversation. Whether you are leading a virtual collaboration or a weekly team meeting, an Art of Convening Training adds a powerful skill set to any facilitation or gathering. Learn the secret sauce of great meetings. We would love to work with you! We are taking a moment to revisit and celebrate some of the purposeful work expressed in these blog pages recently. View videos with Bob and Ren Wei and read a passionate essay from Cindy Kent. We'll have more. Enjoy! "A vision created for others to live out is patriarchy in action. There is no ownership in endorsement or enrollment, a fancy term for selling the vision." We are thrilled to offer a recent essay by friend Peter Block. We deeply admire his thought leadership. In implementing stewardship principles many well-meaning people in power make the false connection that if we want consistency and control in the quality of product or service we deliver to customers, we must have consistency and control in the way we govern the people creating the product or service. The business process and the human process are both important, but they operate on different principles. Forgetting this results in cosmetic change. We need to understand that the methods of change we choose can undermine our intentions unless they produce a redistribution of power, purpose, and privilege. A clear example of how popular strategies of improvement can reinforce patriarchy and feed rather than confront our belief in consistency and control is the organizational visioning process. We have bought the notion that vision must come from the top. Since the mid-1980s, every top management team has created its vision statement and worked hard on communicating it. What this means in practical terms is that a consultant or staff person has spent a lot of time interviewing executives and writing vision paragraphs. A half- or full-day retreat is then convened so the top group can wordsmith the statement and plan for its distribution. (or will be fiscally responsible to its stakeholders). Sincere intentions. An appealing statement. What’s the problem? First, it is boring, but put that aside. The significant problem is twofold: ownership and implementation. Ownership resides with those who craft and create a vision, and with them alone. A statement created for a team to endorse is not owned by the team. An even more fundamental defect is that, in most cases, the vision statement is created for the rest of the organization to live out. Notice that the vision here is used to define a culture or a set of values to be lived. This is different from top management’s rightful task to define business mission and set business goals. A vision created for others to live out is patriarchy in action. There is no ownership in endorsement or enrollment, a fancy term for selling the vision. The belief that crafting the vision is primarily a leadership-at-the-top function defeats, right at the beginning, the intent of driving ownership and responsibility toward those close to the work and the customer. Creating vision is in fact an ownership function, and if we want ownership widely dispersed, then each person needs to struggle with articulating their own, personal vision for their function or unit. Ownership comes from an investment, and the investment required from each of us is to define purpose for ourselves. Each of us defining vision for our area of responsibility is how partnership is created. The desire for vision from the top is a subtle way of disclaiming ownership and responsibility. If this were our own business, it is unlikely that we would allow someone else to define values for us. Adapted from Stewardship: Choosing Service over Self-Interest, 2d ed. (San Francisco: Berrett-Kohler, 2013). In the last 25 years, Peter Block’s Designed Learning has trained over 1,000,000 staff professionals worldwide using his highly successful Flawless Consulting™ workshops. "I started this project as a small way of offering a counterbalance to the dissonance of the world. Now I am discovering that, while I believe this project is meeting that vision, it is also evolving into a process that goes far beyond." We are thrilled to celebrate with CPL Associate Barbara Shipka on this amazing milestone. More on the story below and by clicking on the photo. I started this project as a small way of offering a counterbalance to the dissonance of the world. Now I am discovering that, while I believe this project is meeting that vision, it is also evolving into a process that goes far beyond that. It is actually demonstrating how, via technology, we can connect at the heart level even when we cannot be in person. Thus, our reach and our individual and collective webs can be so much more than we ever imagined! I’ve known many of you personally at some point in time covering many decades. We may not have been in each other’s physical company for years but, through this project, we have consciously reignited our connections with each other – both subtly and explicitly. Each time I send an email and you open it, we have gifted and blessed each other. Through that single act we are changing the world! Together, we form a collective of hope and possibility. We are all such good people who are each doing our part to make the world a better place through our presence. As a collective, we are on six continents…from Iraq to Australia, Ethiopia to China, Argentina to Belgium, the US to India. You are my graduate school advisor, my fifth grade students in Beirut, Lebanon, my clients and colleagues at work in places like the US, Switzerland, and Somalia, my business partner, my spiritual teachers and healers, my son, my beloved friends everywhere. You are my chosen family. I have learned so much from you. I send you my deepest gratitude! May we continue together on this journey of recognizing how our relationships last longer than our in-person encounters. And may we continue exploring and unfolding new ways that show us more fully how we are connected whether we are aware of it or not. Serving the "Next Generation Human": I recently had the privilege of working with Roger Kenneth Marsh as he co-led the series Road to Renewal in Houston, Texas. Today we’re going to talk about how he leads people through "The Passion Test" as a path for discovering their purpose. But more than that, The Passion Test is a framework for what Roger sees as emerging: the "Next Generation" human. Roger has a rich background as a formally trained engineer, businessman, leadership and life coach (bio below). Join us for a fascinating leadership conversation. Roger Kenneth Marsh is a formally trained engineer, businessman, leadership and life coach. He has a degree in engineering, an MBA, is a certified Leadership and Life Coach, a Certified HeartMath® Trainer, a Certified Passion Test® Facilitator, and is a Senior Teacher of Integral Transformative Practice (ITP) emanating from the Esalen Institute. Through his company Beyond Belief he offers Organizational Development Consulting that includes Leadership Development and Coaching, and The HeartMath Resilience Advantage workshop and training. "There are good companies out there, and a lot of work needs to be done by companies to tell their authentic story and build a firm relationship with customers based on who the company is..."
"Convening leaders create and manage the social space within which citizens get deeply engaged." Peter Block became a foundational mentor when we founded Heartland/CPL 22 years ago. His writing and thought leadership was invaluable. 'The Answer to How is Yes' and 'Community: The Structure of Belonging' were both primary texts for the early Art of Convening Training's. The essay below states the case for purpose shared as convening, and convening as a foundational characteristic of an on-purpose leader. This means we can stop looking for leadership as though it were scarce or lost, or it had to be trained into us by experts. If our traditional form of leadership has been studied for so long, written about with such admiration, defined by so many, worshiped by so few, and the cause of so much disappointment, maybe doing more of all that is not productive. The search for great leadership is a prime example of how we too often take something that does not work and try harder at it. I have written elsewhere about reconstructing leader as social architect. • Create a context that nurtures an alternative future, one based on gifts, generosity, accountability, and commitment. • Initiate and convene conversations that shift people’s experience, which occurs through the way people are brought together and the nature of the questions used to engage them. • Listen and pay attention. 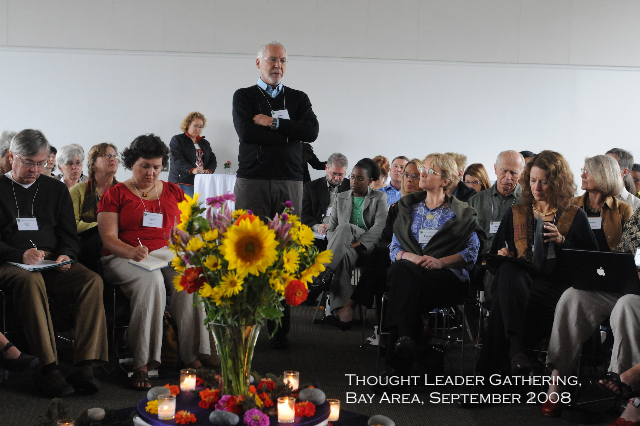 Convening leaders create and manage the social space within which citizens get deeply engaged. Through this engagement, citizens discover that it is in their power to resolve something or at least move the action forward. Engagement, and the accountability that grows out of it, occurs when we ask people to be in charge of their own experience and act on the well-being of the whole. Leaders do this by naming a new context and convening people into new conversations through questions that demand personal investment. This is what triggers the choice to be accountable for those things over which we can have power, even though we may have no control. In addition to convening and naming the question, we add listening to the critical role of leadership. Listening may be the single most powerful action the leader can take. Leaders will always be under pressure to speak, but if building social fabric is important, and sustained transformation is the goal, then listening becomes the greater service. This kind of leadership––convening, naming the question, and listening––is restorative and produces energy rather than consumes it. It is leadership that creates accountability as it confronts people with their freedom. In this way, engagement-centered leaders bring kitchen table and street corner democracy into being. "It took all of his people wisdom to take a stand to serve the common good of all others." As the Springboks began to win in the fierce World Cup competition, the mood in the country shifted. When the players (all but one of them white) showed up in public, they were greeted not just by Afrikaners, but by blacks as well. The Springboks made it to the finals. They were to play the New Zealand All Blacks, considered as one of the finest rugby teams in history. Five minutes before the game played before sixty‐five thousand chanting and singing fans, Mandela walked in to the stadium wearing a Springbok’s jersey, the very symbol of apartheid that so many hated. With millions more watching on TV or listening on the radio, the crowd of mostly Afrikaners went wild with a deafening chant of “Nel‐son,” “Nel‐son!” The country was united for the moment – “One Team, One Country”. It was a moment that many people realized that this country could work. Mandel showed that he could forgive and become the wise leader they wanted. The Springbok’s won the thrilling championship game in overtime. Mandela’s stand embodied what it means to be “people‐wise.” After decades of apartheid and afte twenty‐seven years in prison, it would have been natural for him to focus on the wants of his black constituents at the expense of the broader interests of the country. But, Mandela had become a leader with a people‐wise view. His actions toward the Springboks served as a powerful symbol of what the new South Africa might be like. They reflected his wise awareness of how others very different from himself would react to changes accelerating around them. 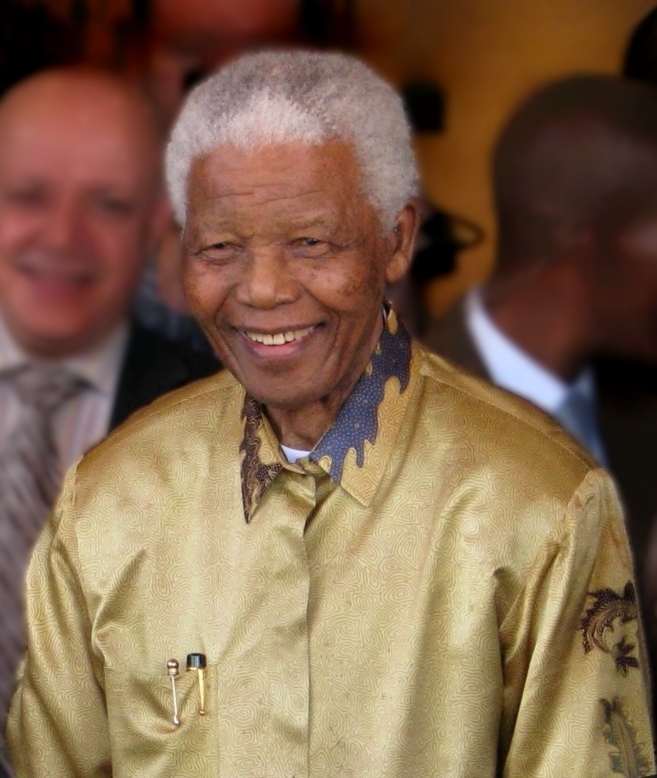 Nelson Mandela has two critical things to teach us about becoming wise leaders. First, “becoming” means clearly understanding the difference between being smart and being wise. They’re not the same. Wisdom demands insight and effectiveness with people. A leader can be very smart without being smart about people. Becoming a wise leader requires having a feel for people – their hopes, fears, passions, and purposes. What makes a Leader wise? It’s hard to define, but you know it when you see it.” Do you see it in yourself? Do others see it in you? Self‐awareness is the “soul” of wise leadership. Without a soul, a leader is nothing more than a smart suit. Self‐awareness is the “soul” of wise leadership. Without a soul, a leader is nothing more than a smart suit. For more information read “Playing the Enemy: Nelson Mandela and the Game that Made a Nation” by John Carlin, and watch the film Invictus starring Morgan Freeman and Matt Damon. 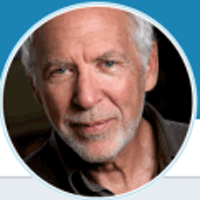 Richard Leider, founder of Inventure – The Purpose Company, is one of America’s preeminent executive‐life coaches. He is ranked by Forbes as one of the “Top 5” most respected executive coaches, and by the Conference Board as a “legend in coaching.” Richard has written ten books, including three best sellers, which have sold over one million copies and have been translated into 20 languages. Repacking Your Bags and The Power of Purpose are considered classics in the personal development field. Richard’s PBS Special – The Power of Purpose – was viewed by millions of people across the U.S.
"Subscribe now to get your 2x/week spark of purpose." Help us reach 800 CPL blog subscribers! You might notice something different about us—we have updated our brand, website and blog. We are excited to share our new name, CPL, too. With the beautiful new blog format, however, we lost our list of subscribers. As our valued readers, we need your help to build our list. Help us reach 800 by June 1, 2017! Use the Subscribe box to the below then follow instructions to verify. We don't want you to miss a post! Many thanks! Do you know someone who would enjoy the blog? Feel free to forward it to them. Hello, we have some news! Heartland is now the Center for Purposeful Leadership (CPL). Though our name has changed, our values remain the same. At the heart of the matter is purpose. We invite you to join us on this journey into new beginnings. We particularly love our photos and this new blog. While here, feel free to download our new Owning Successes and Setbacks as A Team thought piece. On this blog, we will continue sharing current news, case studies and tips to finding shared purpose in leadership. First time visitor? Please subscribe. Know this: the deepest satisfaction of our professional lives is to be of service to people like you. Let's be powerful on purpose together. Have you ever been judged? I know the answer to that, because we've all been judged. We're judged every time we walk among others. For the very same behavior or characteristic we can be judged positively (especially by our moms!) or negatively (as by our arch nemesis if we have one). My own judgments are both involuntary and continuous - like breathing. Sometimes those judgments help me make sense of the world, but more often than I would like, if I have the opportunity to test the judgments I make, they can be amazingly wrong. That is, unless I have triggered the "self-fulfilling prophesy" kind of judgment. We are all multifaceted human beings, and as such could display characteristics that show us to be shallow barbarians one minute and deep, thoughtful geniuses the next. People judge me (and others) using all kinds of criteria - by the expression on our faces, by the shoes we wear, by the condition or color of our hair, or perhaps by a blog entry. A momentary lapse of manners may be judged as refreshingly real by one person and as unnecessarily crude by another. A challenge I struggle with sometimes when I convene or participate in a group is setting aside my judgment. A key principle in the Art of Convening for the Aspect of Hearing All the Voices is to suspend our judgment. But my brain is constantly making conscious and unconscious evaluations of the people I am with - and others often seem to be doing the same thing. Like a frisky puppy, judgment chews on my hand and vies for my attention, becoming more stealthy and present as I struggle to banish it. "Judgment is not necessarily a bad thing, I've learned. I want to have and continue to nurture good judgment in my life." So, rather than fight with my judgment and try to get rid of it, I have decided to treat it like a puppy I've brought along, but is not participating. I take the time to train her to sit quietly at my feet or under my chair, until my meeting or conversation is over - then I take her away with me somewhat better behaved, more informed and matured in some way. Judgment is not necessarily a bad thing, I've learned. I want to have and continue to nurture good judgment in my life. But I do myself a disservice when I allow my judgment to be a barrier to relationship with others in my gathering. I notice that the Art of Convening principle asks me to "suspend" my judgment, not to eliminate it. My objective is to be present in my gathering as a place of "charitable interpretation" and openness to being surprised. What are your experiences with judgment and The Art of Convening? Is your judgment like a puppy too? Do you have some tips for the rest of us? NOTE: In the original post, Judgement was spelled with an "e" after the g. Both spellings are correct, but I was persuaded to change to the more popular Judgment. "Merriam-Webster prefers judgment and lists judgement as a variant." Join us Tuesday April 16, when Craig interviews Peter Block in our VisionHolder Series. Peter articulates a potent design for creating living communities whenever and wherever people gather, through the realization that everyday acts of citizenship are acts of leadership. "Finding out what Peter considers to be everyday acts of citizenship, more detail about the design for creating living communities, what is his personal experience out of which came this new book." "Essence of Peter Block--I don't even care what he says, I just like listening to him." "I spent the first 20 years of my career as a grassroots community organizer, and the past 8 years as an organization consultant. I'm very interested in the intersection of those two worlds. I'm looking forward to hearing Peter's insights." "A knowing of Peter deeper than knowing him from reading 'The Answer to How is Yes.' Getting additional thoughts provoked for me before heading into the Spring Ceremony weekend"